3Dwalkthroughs.com would like to wish all of our friends, family and clients a very safe and Happy Halloween. The picture above was taken at a dog park near our house. The turnout for this years canine costume competition was a little thin compared to last year. With that said, it was still pretty funny. 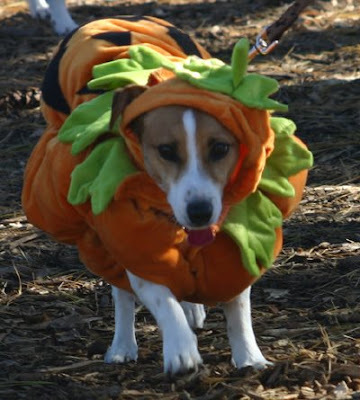 Some of the costumes are so ridiculous that I could swear that some of the dogs were blushing. I think Halloween is the one time of year that a even a dogs unconditional love might waiver. 3Dwalkthroughs.com just came across a press release from a company that is using 3D animations to help sell their pre-drawn home plans. The company, TheHouseDesigners.com, recently launched a re-design of their website which includes 3D animations of many of their best selling plans. In addition to the interior and exterior photos, exterior renderings and live chat housedesigners.com have previously offered on their site, users cannow view a 3D animation of the complete exterior of the house. Coming soon to this 3D collection is an interactive feature that will allow consumers to change exterior surfaces, windows and doors, roofing, lighting and much more to customize and envision their dream home before it’s built. Consumers can sign up for the Dream Design newsletter to be notified when this new interactive feature becomes available. It is our belief that companies such as thehousedesigners.com, who are willing to innovate in this tough real estate climate, will come out on the other side in a much better position. Companies that sit on the sidelines are going to be left behind. As 3Dwalkthroughs.com has mentioned in previous posts, one of the biggest underlying themes of the Club Industry show in Chicago was the focus on the youth fitness movement. Many of the exhibitors we visited at the show were either launching brand new products geared towards this population or displaying upgrades to their existing lines. During the show we had the opportunity to speak with the lead 3D modeler of the Xrkade company, Scarlett Burns. Xrkade is one of the leading names in the Active Gaming market and drew some of the biggest crowds at the show. The second demo was of a football game that utilized the same camera to translate a users movements to the actions of a quarterback. The demo of the football game also showed a lot of potential, although it was obvious that some of the kinks still need to be worked out. The 3D modelling driving these new Xrkade games is quite impressive. Scarlett and her team have been able to achieve a very impressive level of realism considering the processing speeds that are required to make these games interactive. Aside from a very cool use of 3D technology, we are extremely impressed with Xrkade because of the admirable nature of their cause. Youth obesity is rising at epidemic levels and companies like Xrkade who are attacking this issue head on should be praised for their efforts. Did you ever see something that was so gross that it makes your teeth hurt? Well the following story is not quite that bad but it is close. 3Dwalkthroughs.com found a story about a 3D animation of a heart that was created by an animation company called Glassworks for the London Heart Hospital. The 3D animation shows an unbelievably realistic representation of the activitiy within a healthy heart. The animation is helpful as it shows the heart cleaned up without all the blood and…I am making myself sick. The animation can be found here>> at Gizmodo.com. I would like to say that this is one of those must see posts, but make sure you are not queezy before you watch. If you have read our blog over the last few days you are aware that 3Dwalkthroughs.com took a trip to Chicago to promote Fitspott at the Club Industry trade show. The interactive 3D display was sponsored by Accenture and the items on the screen were manipulated similar to how Tom Cruise interacted with his computer in Minority Report. Here is a description of the 3D interactive wall from Accenture’s website. 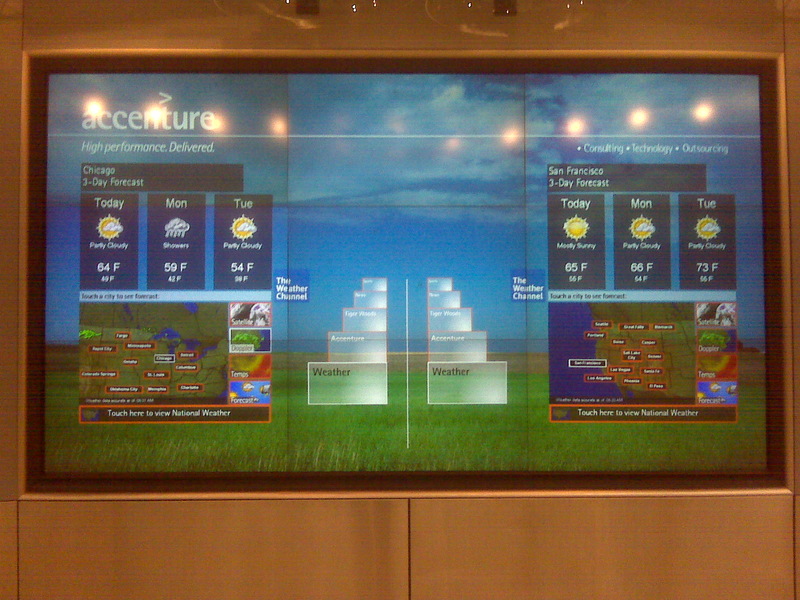 The interactive wall is a scalable in size, networked, high resolution, touch screen interface. It gives users the “big picture,” whether in a strategic decision-making context or a retail and advertising environment. By mimicking the Web in its ability to track usage patterns and user preferences, the interactive wall offers personalized, targeted, information while integrating with other networked or mobile devices to create innovative solutions for users and organizations alike. The interactive wall’s super-sized, physical screen combines with Accenture’s groundbreaking patent-pending software to deliver greater insight, faster. Whether applied to advise consumers about products and services or employed to act as a nerve center for command and control operations, the interactive wall is more than just a pretty face. You are currently browsing the 3D Walkthroughs blog archives for October, 2008.